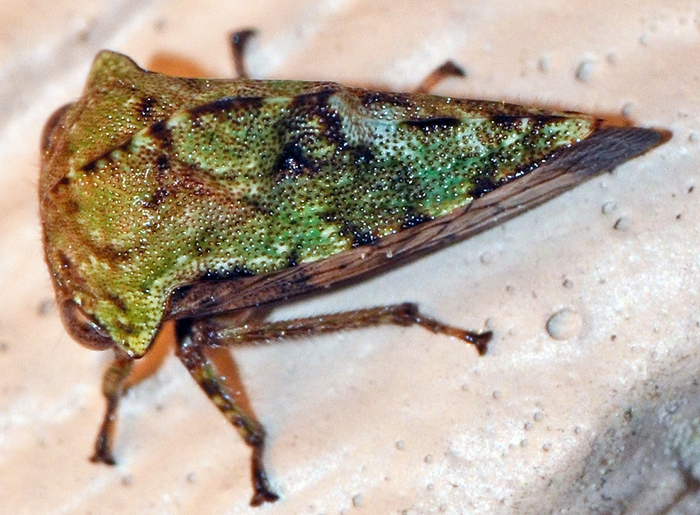 Fairly large treehopper in the genus Telamona which has 26 species in North America. This specimen was probably attracted by our porch light. Unfortunately, I didn't photograph the side view.